We have offices in Manchester, London and Birmingham and offer our services across the UK, providing next day service for all areas. We excel in all aspects of document scanning, document management and data capture services and solutions. Whether you require documents scanned to disk or a more sophisticated document management software solution, we can help you find the right solution to fit your needs at a cost-effective price. Our experienced staff understand that each client's needs are unique and we tailor your scanning or document management solution just for you. We have already helped thousands of organisations save financially as well as save space yearly by managing their documents digitally. Pearl Scan Solutions is one of the most cost-effective and efficient document scanning companies and outsourcing bureaus in the UK. We are here for any office in need of assistance with document scanning and electronic archiving. Whether you use your documents on a daily basis or they are just taking up space, we have the resources to handle any type of document, data capture and conversion project for either one-off projects or an on-going service. We also offer the best advice on how digitising files can help financially. We offer everything from microfiche and microfilm scanning services through to complete electronic document management systems. We also offer a range of onsite services for completing the project within your office environment. We can offer help with any forms data capture projects, paperless office solutions plus a wide range of related web-based archiving and file hosting solutions. Our purpose-built facilities allow us to offer a range of scanning services including: OCR scanning and OCR conversion, PDF searchable scanning, large format drawing scanning services as well as file storage or all kinds, plus dedicated document manager software such as our LazyWorks, LazyWeb and our Microsoft Sharepoint - ShareLive Systems. Small Office in-house Scanning, Manager Systems and Paperless Office Solutions. 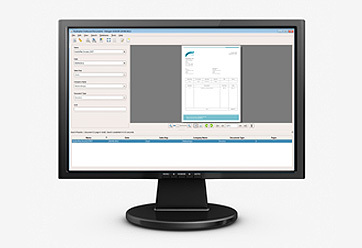 Halogen Search and Retrieval Document Handling Software. Corporate Document Scanning and Document Handling Systems, Paperless Office Solutions. What are the major advantages of archiving and having files scanned? We carry out high profile document scanning and manager jobs throughout the UK collecting from all major cities: Document scanning Manchester, Document Management Manchester, London, Edinburgh, Cardiff, Birmingham, Newcastle, Liverpool, Cheshire, Leeds, Nottingham and Document Management UK. Our main offices are based in Manchester, Birmingham and London.